Per LeRoy’s wishes, no funeral will be held. 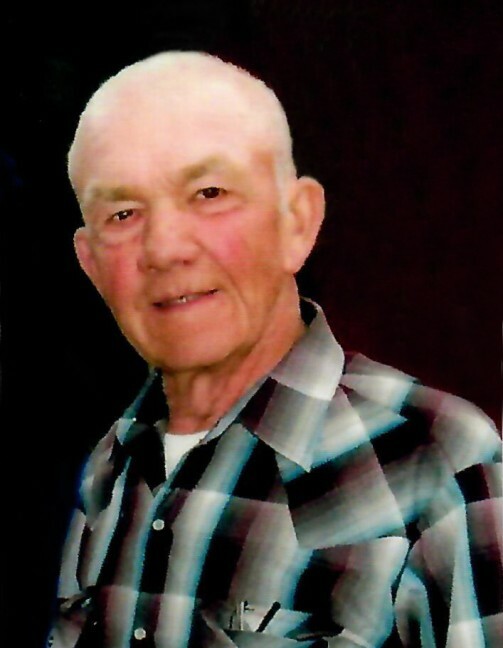 Public visitation with the family will be held on Tuesday, February 12, 2019, from 1:00 – 3:00 PM CST at Buehler-Larson Funeral Home, Mandan. Burial will follow at Peace Cemetery in New Salem. LeRoy Raymond Moltzen was born at a home in New Salem on May 10, 1940, to Raymond and Hilma (Tausend) Moltzen. He was raised on the Moltzen farmstead which was homesteaded by his great-grandfather John Moltzen and his wife Katherine in 1883. He lived his entire life there except about two months when, after graduation from New Salem High School in 1958, he went to Seattle, WA and worked for Boeing Mfg. and quickly decided it was not the life for him. He returned home to the farm and stayed there the rest of his life. From little on, his nickname was “Butch,” and he always enjoyed it when his friends and family called him that. On January 16, 1960, he married Betty Lou Thiel and the fifth generation of Moltzens were then raised on the farm. Besides farming, LeRoy was also a very talented musician. At the age of ten, his parents ordered his first accordion from the Spiegel catalog. He took a handful of lessons from someone traveling through New Salem and otherwise played by ear. His mother’s cousin taught him to chord on the piano. He also taught himself with books he ordered. In the ’70s, he and his brother-in-law, Rod Reuther, and their families loved entertaining at Elm Crest Manor in New Salem. The residents’ favorite song was “How Much Is That Doggie In The Window.” For many years, he and fellow musicians played for wedding dances, anniversaries, and parties, also traveling to neighboring towns. Rather than entering into full retirement as he grew older, LeRoy became the fulltime keeper of the farmyard – keeping it pretty well manicured. LeRoy was very compassionate with all of his animals, especially his kitties; he could never stay anyplace too long because the cat chores had to be done.